Host a Scentsy party to earn some free Scentsy and rewards. In days gone by, the best way to host a Scentsy party was by hosting a traditional home party. When you bring together friends and Scentsy products, the party happens naturally — laughing, sharing, and reminiscing! Fragrances evoke special memories and have different meanings for everyone. That’s why our products can’t be explained — they have to be experienced. And that’s why Scentsy parties are so much fun! Hosting a home party is great fun, but we don't always have the time. If you're interested in earning free Scentsy but don't want to invite friends to your home, scroll down to learn of our Scentsy "party in a box," email parties and facebook parties. You still earn the same great rewards, no matter what type of party you choose! As you can see, when If you host a Scentsy party you'll have the opportunity to earn some wonderful rewards. $200-$349.99 in party sales earns you one Scentsy product at 50% off and $20 to $34.99 in free product. $350 - $499.99 in party sales earns and two Scentsy products at 50% off and $35 to $49.99 in free product. $500 - $999.99 earns three Scentsy products at 50% off and $75 to $149.99 in free product. We still think a traditional home party is the way to go, but there are also some easier options. Additionally, if you're the host, you still earn the same rewards no matter which type of Scentsy party you host. After all, what fun would it be to host a Scentsy party unless you earned some free Scentsy rewards as well! 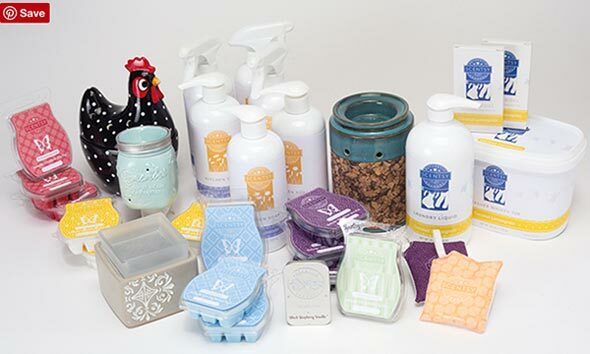 Nowadays a popular way to host a Scentsy party is to have a catalog party! You can also have a Facebook party or email party. No matter which way you choose to host a Scentsy party, you still earn the same rewards! How Do Alternative Scentsy Parties Work? Catalog Party - Also referred to as a basket party, we set a start date for the party and schedule it to last one week. Before the party we provide you with scent testers, catalogs and other party supplies. You share the Scentsy products with your friends and collect the orders. Once the party is complete, we process the orders for you. As long as your total party sales qualify as outlined in the chart above, you earn free goodies! Email Party - We'll set up your party and provide you with a link to share with with your friends. They place orders using the link we provide. If the total amount of the orders qualify, you eary all the free Scentsy rewards. What a deal! Facebook Party - We'll set up a Facebook event, you invite your friends and family and they use the special party link we provide. They place orders during the event and you earn the free Scentsy rewards with your qualifying orders. To get started with your party please complete the form below. Once we are notified, we'll review the information provided and contact you to work out the party details.